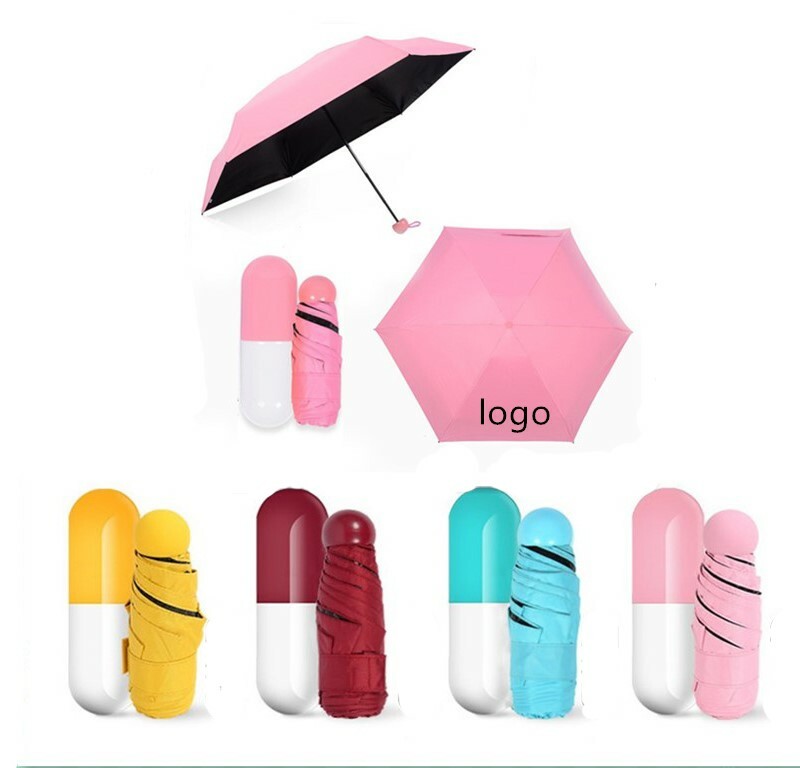 This umbrella is made of 210T pongee cloth with a capsule shape cover. It is convinent to carry. Custom logo can be imprinted on the umbrella. Product Colors: Yellow, Red, Blue, Pink, All colors. Package: 1pc/box, 50 pcs/ctn, 48 lbs/ctn.